Let’s play the Gwyneth Paltrow Game, the ultimate food challenge! In this game each one of us has exactly $29.00 to spend on our food for one week and by playing the game we should all learn what it means to live in poverty—at least that’s what we’re supposed to learn according to the #FoodBankNYCChallenge. This $29.00 a week food challenge involves celebrities tagging each other in a game to try and subsist on the Supplemental Nutrition Assistance Program (SNAP) weekly food budget of those living in poverty in the United States. Chef Mario Batali challenged Hollywood personality Gwyneth Paltrow and in turn, sparked a global…well, national…discussion about many things, but not poverty. As observed in numerous online Facebook chats, not even vegan feminist abolitionists could resist this game. How does it work, you ask? In accepting the challenge, Paltrow agreed for one week to eat only what she could purchase with $29.00 and made her purchases public news–one dozen eggs, lettuce, dried black beans, frozen peas, an onion, parsley, a sweet potato, green onions, brown rice, some garlic, a single tomato, one ear of corn, soft tortillas, one chili pepper and seven limes. NOTE: Paltrow confessed she only lasted four days before feasting on “…chicken and fresh vegetables (and in full transparency, half a bag of black licorice)” (Johnson, 2015). That’s the definition of privilege—knowing all along she didn’t really have to stick with the budget. 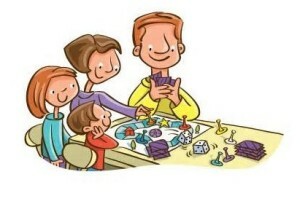 Family playing board game and learning lessons of life. So, how much have people who followed this story and discussed Paltrow’s shopping trip haul learned about poverty? What are members of the vegan feminist abolitionist movement taking away from the latest Paltrow media frenzy? Here is an opportunity to think reflexively about the white, classist and masculinized privilege that permeates the vegan abolitionist movement, to decenter the vegan perspective and achieve some kind of empathic understanding for those most affected by poverty—women and children. The author is correct in recommending potential donors take care in knowing how their contributions will be used. It is also entirely possible that the author is warning people that vegan organizations should resist the pull of becoming large capitalist corporations with high salaried staff and executives who do little to stop animal exploitation, but do provide padded salaries to executives (Ritzer, 1975). One message is clear: there is no way to both end animal use and profit from the donations of supporters. As Corey Wrenn pointed out in an essay (Wrenn, 2015), there is no way to end animal oppression through capitalism when it is capitalism that is responsible for the oppression in the first place. 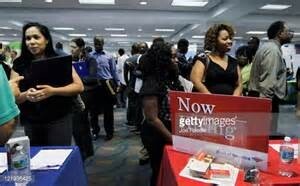 Still, the language of the above rejoinder was not specifically anti-capitalist and sends a different message to those who might be looking for work just to survive, to be able to feed their families on something more than $29.00 per person per week. Someone could easily understand the author to mean that it is “distasteful” and “arrogant” for anyone—even someone living in poverty—to think their work is valuable enough to deserve a living wage. It was the first, but not last, vegan missive this week to demonstrate how much the vegan abolitionist movement needs to learn about living in poverty. The author stresses that would-be vegan educators too often just want “attention” and maybe hope for a job or some other form of remuneration. That assumption is understandable from the perspective of the dominant white upper middle-class ideology of the animal rights movement, but when seen through the eyes of people living in poverty the statement is problematic. Not everyone can afford the time, financial resources or the energy to be a vegan educator unless they are compensated for the effort—certainly not the working poor who often depend on multiple jobs just to survive. It can feel disheartening to want to help and yet know the organization is only interested in those who have time, money and energy to provide on a volunteer basis—and worse, to read that the poor actually “threaten our movement.” Telling a person that the only thing that matters is for them to “go vegan” won’t help them get over feelings of being on the outside of the movement and different from those who are able to be fully invested activists. No, not every vegan abolitionist or animal rights organization collects donations, applies for and receives grant money or has resources available to hire paid staff members. The point being made here is that movement members have much to learn about living in poverty, and they need to refrain from calling those who seek jobs “disgraceful,” “arrogant,” “attention” seekers, or “threatening” to the movement. There is also no suggestion that vegans should get busy and cough up charitable donations for the poor. 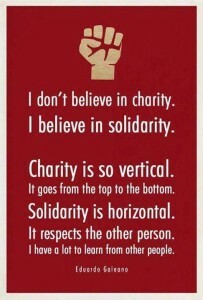 It is instead a call for solidarity. Charity moves from the top down. 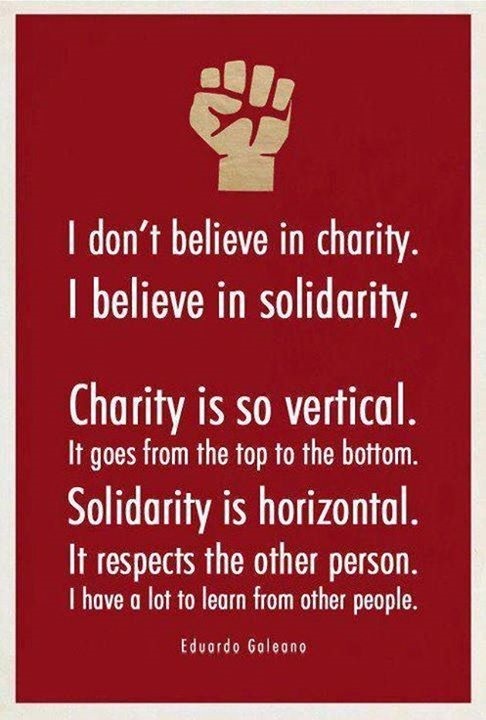 Solidarity, on the other hand, is horizontal with everyone standing side by side in mutual respect and possessing a willingness to learn. One example that stands out is a recent effort by the Vegan Intersecionality Project (V.I.P.) in Ireland that saw the organization stand in solidarity with squatters at the Grangegorman site, hearing their stories about police harassment and living in poverty (Vegan Information Project – VIP, 2015). The question remains, did vegan abolitionists miss the opportunity to stand in solidarity with people living in poverty in their analysis of the $29.00 per week per person food budget story? Unfortunately, their discussions did not hinge on poverty and would leave an outsider wondering about vegan priorities. Among the first to respond to the circulation of the Gwyneth Paltrow story on Facebook were those who tried to explain what they would buy with only $29.00 to spend for groceries. One couple stated they already lived on approximately $100.00 a month or $25.00 per week. Others were quick to stress the value of bulk purchases of dried beans and frozen fruit. Oatmeal was a popular choice due in part to its low cost per meal. There was some debate over whether the rules of the challenge allowed for use of staples already on hand, e.g. spices and flour. It was established that they do not. Someone mentioned they would make use of the local food pantry, and the advice was offered that local farmers markets will count each dollar of food stamps as two dollars, up to a maximum of fifteen dollars—yet another helpful suggestion. Questions were raised in other discussions about Gwyneth Paltrow’s food choices, thanks in large part to a Mother Jones (Oh, 2015) article that suggested the selected foods would only be good for a de-tox diet. At that point things deteriorated into a Gwyneth lovers vs. Gwyneth haters debate. Moving on to the next conversation there was finally someone—one woman–who voiced several key concerns, including: 1) society does not need a wealthy celebrity to explain how SNAP works, how SNAP doesn’t provide enough money for an adequate diet or to pretend to live on a SNAP food budget; 2) society will unfortunately not believe anything unless a celebrity says it; and 3) why doesn’t anybody ask SNAP recipients about their experiences? Why is it that only the voices of privilege are sought after and heard? 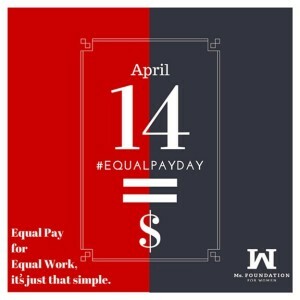 Ironically, the Paltrow budget game coincided with #EQUALPAYDAY on April 14, 2015, a day meant to bring to everyone’s attention to the fact that women only make 78 cents to every dollar made by men, a pay gap that has held steady for approximately ten years (The Editorial Board, 2015). Women without any advanced degrees make only 74 percent of what men make. Other facts about poverty were mentioned in the equal pay stories. According to 2013 census figures, there are 46.5 million people in the United States living in poverty. Single-mother families living in poverty number 4.1 million, and the child poverty rate remained steady at 21.8 percent. How many of these people—very real people, not just statistics—are on food stamps? 15.8 million! That translates to 13.6 percent of all U.S. households—the highest level ever. Just over half of these households live below the poverty line and just over 40 percent have at least one person in the household who has a disability. 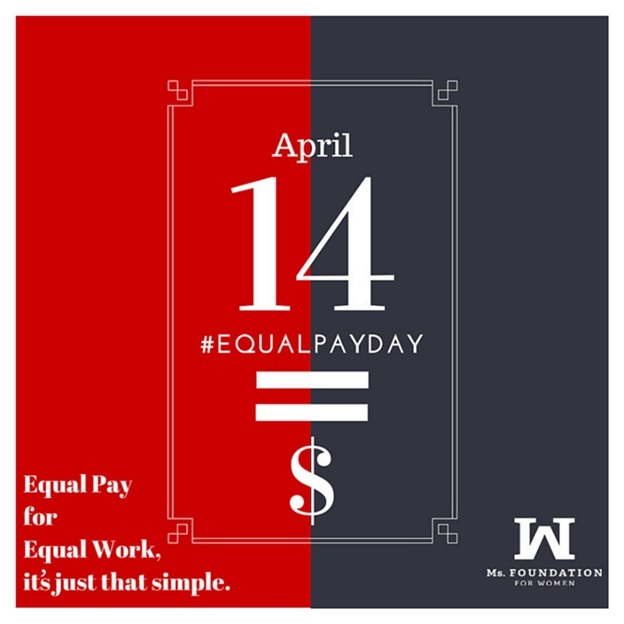 Women comprise almost two-thirds of minimum wage earners, and mothers are the primary or sole earners in about forty percent of all households with children under the age of 18 (Shriver, 2014). Think again about why the world turned to Gwyneth Paltrow to educate everyone about poverty and food stamps. Aren’t there enough people, especially women, living in poverty who could teach us much more? These numbers barely begin to convey the realities of life for those living in poverty, but we continue to make the faces of these women invisible and their voices remain unheard. Here’s one last observation about the vegans who played the Paltrow game and those who described people looking for work with utter contempt—at a time when the vegan abolitionist movement is trying to demonstrate its intersectionality through practice and to show that veganism is not just a diet, it is interesting that they managed to ignore their own privilege and its consequences. Women living in poverty are not statistical objects who just need to go vegan and poverty is not a game. Ritzer, G. (1975). Professionalization, Bureaucratization and Rationalization: The Views of Max Weber. Social Forces, 627-634. This entry was posted in Class & Poverty, Feminism & Patriarchy and tagged Capitalism, Class, Consumption, Feminism, Food by MicheleM. Bookmark the permalink.